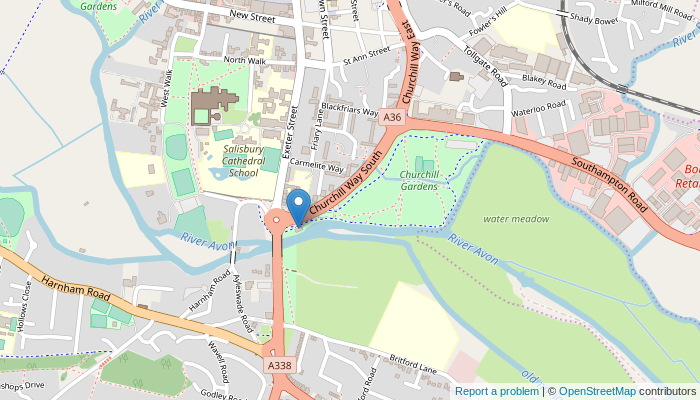 The club meets at the Salisbury Sea Cadets, which is located in Churchill Gardens with the entrance off Churchill Way South (A338). Postcode: SP2 8AA. Club sessions will run from 6:30pm until 7:30pm for juniors and adults at beginner levels. Intermediate and advanced fencers of all ages will fence from 7:30pm to 9:30pm. All potential fencers attending on a beginners' course and also established junior fencers must arrive at 6:30pm. with junior beginners finishing at 7:30. Established junior and adult fencers and adult beginners then have the option of continuing to fence and having coaching up until 9:30pm. Payment will be due on the first evening of the course. All cheques should be made payable to Salisbury Fencing Club and must be paid on the first day before commencing a course. This course fee covers the loan of all necessary fencing equipment, coaching and the Club's insurance. The membership fees for this season are as follows. Paying for the full season in one payment in advance saves each fencer at least £40 over the three terms. The £10 session fee is payable by guests or visiting fencers who are not paid-up members of the club. Beginners must wear a club under-plastron and all established fencers should purchase their own. Shorts are not permitted when fencing a bout. The cost of replacing broken equipment has now become an expensive thing and it is something the club cannot really afford. Therefore for any breakages which occur it is asked that a small percentage of the cost of the broken item is met by the fencer who was using it. Current costs are £5.00 for a non-electric blade and £10.00 for an electric blade. Cost of damage to other equipment by negotiation. Please give all money of this nature to the club equipment officer, and all cheques should be made payable to Salisbury Fencing Club. Members can use any of the club's equipment free of charge on normal club evenings or if representing the club in a team event, but with the proviso that the club's electrical equipment can only be used when fencing an actual electrical bout. To ensure that all fencers have the opportunity and equal use of all our electrical equipment, no-one should use the electrics for more than fifteen minutes at a time. Please be fair to others and keep a check on the time that you spend on the piste. A club member can hire club equipment for an individual competition at an overall cost of £10 prior to the event with any loss or breakages being met by the hirer. A refundable deposit of £10 is required prior to taking the equipment. Please ensure that all jackets used by yourself are returned to the cupboards after use and are hung and zip/buttoned on a hanger. As a jacket costs between £60 - £70 we ask that they not be just thrown on the floor or in any of the cupboards. Only the electric sabre jackets are to be hung up in cupboards. Again, please return all weapons that are used to the rack after use in a neat and tidy way. Please report any breakages as soon as they happen to the equipment officer. Please do not put broken weapons back in the rack. Any malfunctioning electrical weapons can also be handed in for checking. All fencers serious in their sport should become individual members of this association for all the benefits that are gained and information received. It is also a compulsory requirement when competing in all the major competitions which are outside of the club situation. Application forms can be obtained from Terri Westlake. It is also possible to join online at the BFA website. The following documents are available for the perusal of club members.